A thread lift is a non-surgical alternative to having a surgical face or neck lift. It is a minimally invasive procedure that is designed to raise the brows and cheeks, neck, jowls and to soften lines around the mouth and nose. This technique has been developed over recent years, offering patients results comparable to a traditional facelift, but without the associated recovery and downtime. For many patients, the thread lift procedure can result in a relaxed, refreshed appearance, while preserving and enhancing the natural contour of the face. 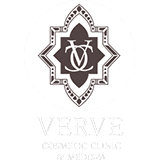 The thread lift procedure can be used to give you a subtle, natural looking solution that redistributes volume for a more youthful appearance, as well as smoothing premature aging skin and lifting drooping soft tissue of the mid and lower face.A threat lift is a procedure offered at Verve Cosmetic Clinic in Sydney. A fine needle will be used to loop the thread beneath your skin. This is done in a transverse pattern, which will allow the skin to be raised and adjusted to the position that is desired and discussed during your consultation. There should be no scarring left from this procedure, as only small openings are used and are normally near the hairline. A thread lift normally lasts around 1.5 hours to two hours. Does a Thread Lift Hurt? There is no need for a general anaesthetic, unlike a surgical face lift. A local anaesthetic is used to make sure that patients do not experience any pain and they are as comfortable as possible throughout the procedure. Are there any Side Effects from a Thread Lift? Though side effects are few, there may be some light swelling, bruising and minor redness immediately following the procedure, all of which generally dissipate in the first few days and should not worry the patient. Facial movement may be somewhat limited for about two to three weeks, however normal activities such as walking or sitting at a computer may be resumed within an hour after the procedure. The results of a thread lift are often seen immediately, but they generally improve over a three to six month period, as collagen encapsulates and ‘bunches’ over the threads to further fill in the face. These results are classed as permanent, but it can be used again as a treatment for further aging in the future. Is there any Downtime Associated with a Thread Lift? Some downtime will be required for a thread lift, but again, this will be significantly less than is required for a surgical face lift. Patients normally take around one week off work for recovery and to allow any swelling or discolouration to fade. Thread lift patients should avoid strenuous exercise or activity for approximately five days to aid in the recovery process. Who are Suitable Candidates for a Thread Lift? The best candidates for a thread lift are those who are in good physical condition, with reasonably normal skin thickness. If you are experiencing drooping skin and wrinkles, as well as loss of volume on your face through the aging process, this procedure may be the right one to allow for a more youthful appearance again. If you have had a surgical facelift previously, but again you are experiencing sagging skin you may still be a good candidate for a thread lift. Dr Nasser is a recognised leader in the field of thread lift and other non-surgical facelift procedures. For more information about how the thread lift can improve your appearance, please call us or visit our clinic to arrange a consultation. How does Thread Lift procedure compare with traditional face-lifting techniques? There are numerous benefits to opting for a non-surgical facelift. • Lower-Risk: Non-surgical facelift does not entail an invasive, surgical procedure or the use of general anaesthesia. Downtime is minimal with little to no side effects. Traditional facelifts necessitate the use of general anaesthesia and the procedure can result in complications such as infection, scarring, paralysis of the face, and even permanent disfigurement. • Lower Cost: Thread lifts are far more affordable than traditional surgeries. • Faster recovery: Thread lifts require little to no downtime. Some of the simpler procedures-dubbed ‘lunchtime lifts”. Traditional facelifts require several weeks or even months of recovery time and usually involve pain, scarring, bruising, and swelling from the procedure, as all was medication to treat pain. • More Natural results: A Thread lift procedures is far more subtle, and a natural-looking enhancements to the face. Traditional surgical facelifts often result in tell-tale stretched-looking skin, leading to a look of permanent surprise, or a completely different appearance all together. What are the side effects of a Thread Lift procedure? Though side-effects are few, there may be slight swelling, bruising, and redness immediately following the procedure, all of which generally dissipate in the first few days. Facial movement me be somewhat limited for about two to three weeks, however normal activities such as walking or sitting at a computer may be resumed within an hour after the procedure. Thread lift patients should avoid strenuous exercise or activity for approximately five days. Though results are often immediate, they generally improve over a three to six month period as collagen encapsulates and “bunches” over the threads to further fill in the face. The thread lift procedure, a non-surgical alternative to a face or neck lift, starts from $2,000.